During their brief collaboration, the blues legend and his pupil performed at the Bottom Line in New York 40 years ago on this date. Did you know that Paste owns the world’s largest collection of live music recordings? It’s true! And what’s even crazier, it’s all free—hundreds of thousands of exclusive songs, concerts and videos that you can listen to and watch right here at Paste.com, from Dizzy Gillespie to The Kinks to Public Enemy to HAIM. Every day, we’ll dig through the archive for the coolest recording we have from that date in history. Search and enjoy! 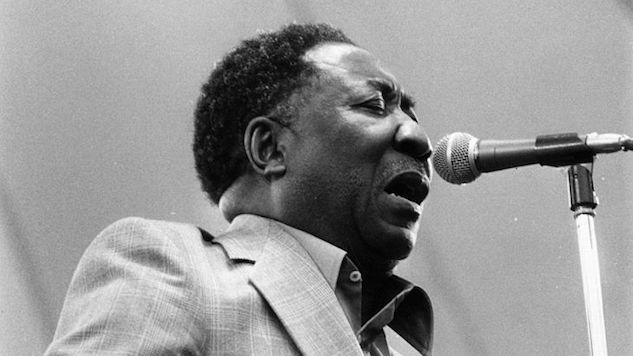 In 1977, iconic bluesman Muddy Waters began a short-lived but impressive collaboration with Texas guitarist Johnny Winter. During this later period in his career, Waters had been searching for a way revitalize his work. Winter, who had idolized Waters since childhood, invited Waters to join Blue Sky Records, a new label set up by Winter’s then-manager, Steve Paul. Waters, who was involved with a 20-plus-year year relationship with Chess Records at the time, accepted the offer, much to the advantage of both: Winters would go on to produce three Grammy Award-winning albums for Waters on Blue Sky, including Hard Again, I’m Ready, and Muddy ‘Mississippi’ Waters—Live. In addition to collaborating in the studio, Waters and Winter performed together from 1977 to 1979. On this exclusive recording from Feb. 15, 1978, the pair took on New York’s famed Bottom Line club, with most of Waters’s touring band sitting in. The performance, which was recorded for the King Biscuit Flower Hour radio show, includes more recent cuts from Waters’s work with Winter, but also several blues standards from Waters’s own repertoire and work with Chess. Although this is among Waters’s final live recordings before his death in 1983, the energy and precision with which he performs is palpable. Listen to a classic take on Waters’s “Mannish Boy” and a frolicking, loosely done duet on “Walking in the Park,” featuring a fierce collaborative guitar effort from both Waters and Winter.